Do you have a business but no website? Brilliant Beginning is a done-for-you website design package for start-up business owners, like you. You're ready to launch your business but you don't want to waste time learning how to design a website yourself. Get your Brilliant Beginning website starting at $1000. We'll design these five pages of your site: Home, About, Blog, Contact, and Services with the source materials you provide (copy, logo, colors, photos). Your site will be professionally designed to support your business goals and meet modern, mobile-responsive website requirements, so you can confidently launch your business online. A Brilliant Beginning Website sets you up to market your business from day one with opt-in and contact forms. 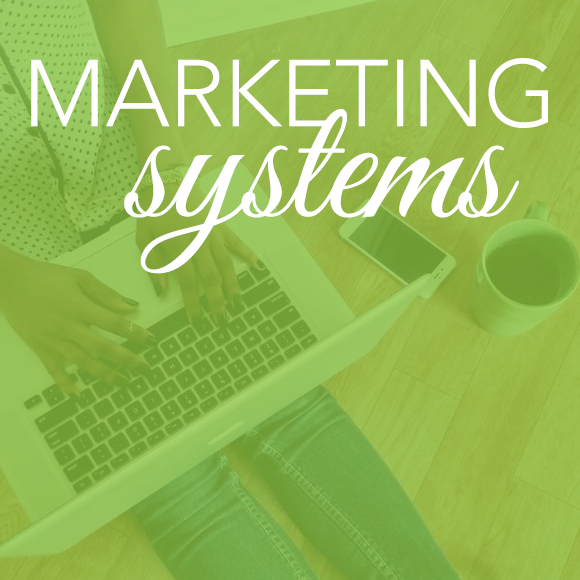 We'll set up the following marketing pieces: 1: Your opt-in form: designed, connected to your newsletter service, tested and included on your home page. 2: Social media accounts: linked and icons for all included in your website footer. 3: Contact form: created, tested, and included on your contact page. We take care of the key tech pieces, so you don't have to. Key tech pieces: 1: WordPress and our favorite drag-and-drop theme, Divi, installed and configured on your web host. 2: Google Analytics, 3: a Spam blocker installed. After launch, you'll have one week of email support, as you learn the ins and outs of your new site, you can ask us anything. You'll also have access to The Brand + Website Workshop, our signature DIY program for branding and website design. This includes WordPress and Divi tech tutorials you can refer to anytime you need to update your site, add/edit additional pages, blog posts, content, and plugins. As well as complete brand foundation, style, and identity training and more. Ready to take charge of your own success, connect with potential customers all over the world, and showcase your brilliance? Let's talk about your Brilliant Beginning Website! Let's start building your website today! We'll meet for 30 minutes to talk about your business plans, website needs, brand style and answer any questions you have about the Brilliant Beginning Website process. After our initial consult, we'll send over a project scope agreement, which details out all the aspects of your Brilliant Beginning Website as well as a link to pay your deposit. Once the project scope is signed and your deposit paid, you'll receive our branding, business and content workbooks to complete. You'll complete our branding and business goals workbooks and exercises (this information will help us design your website to showcase your personality and fully support your business goals). Once you've completed your branding and business goals worksheets, we'll meet via video conferencing to talk about your home page layout and choose the wirefame layout that will best support your goals. We'll also discuss the branding materials you've provided and talk about what kind of content you'll need to provide. You'll complete our content workbook, which will guide you through writing your home, about, service and contact page content. Once you've provided your content, it's time for design to begin. Once we have your completed workbooks and all materials in hand, design begins. We'll install WordPress, Divi and plugins. We'll design your home page using the base template options you've chosen, you'll review the design, and we'll incorporate one round of revisions. We'll design your about, contact, services and blog pages, you'll review the designs, and we'll incorporate one round of revisions. 7. Celebrate! It's time to go live! It’s time to launch your website and we’ll celebrate with you all across the web!! You'll have access to The Brand + Website Workshop, our signature DIY program for branding and website design, so you can learn how to update your site, add and edit additional pages, blog posts, content, plugins, and more. 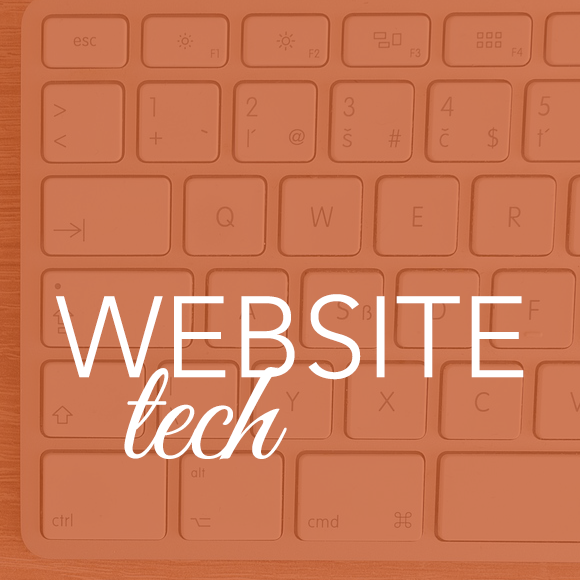 Your website will be ready 7-10 business days from receipt of all your materials. Pay a deposit of $500 to secure your spot. Once you've completed your workbooks, provided all your materials, and paid the remainder of your project fee, we'll finalize the schedule for your project and get started. Choose from our layout options. Want additional options and features? We're happy to create a custom packages to meet your specific needs, or you can add any of the following pre-defined packages to your Brilliant Beginning Website. This package is for businesses that want a stylish typographic (word mark) logo. Includes: email consultation, custom word mark design (1 concept, no revisions), final artwork in formats for print/web uses, and brand style guide detailing your colors and fonts. This package is for businesses who want to go through a more in-depth branding process. Includes: in-depth brand consultation, custom logo design (3 logo concepts, 2 revisions to your chosen concept), color palette, font recommendations, photo/graphic style recommendations, brand style guide, and final artwork in formats for print/web uses. Finding yourself tongue-tied and unable to write the content for your website? We can help, we'll interview you to get just the right information about your business and then we'll write your home page, about page, and services page. Includes interview, one round of revisions to copy. Planning to sell products? This package is for you. We'll consult with you to decide what e-commerce solution is the best for your needs. Then set up the system, connect it to your merchant account, and set-up, up to 10 products. This package includes: design of email header graphic (that matches your website design) and placement into a basic email template, and set up of your opt-in list with a follow-up email to deliver your opt-in freebie. This service is available for new MailChimp, Aweber, Convertkit, or InfusionSoft accounts. If you haven't picked out an email marketing provider, we'll consult with you to help you choose the best option for your business. As your business grows and you need additional support, we're here to help with ongoing retainer packages or pre-paid blocks of time, customizable to your specific needs. We can help with your marketing strategy and implementation, design, copywriting, and all aspects of tech support for your site and all the pieces of running an online business. Additional focused consulting to help you prepare for the launch of your business and website. Includes: 4 weeks of support. One 30-minute call each week, along with notes and next step recommendations for you. Daily email access for questions and support during those 4 weeks. Launch your site with an opt-in pdf that matches your brand, showcases your content, and helps you stand out. Your content (and audience) deserves a brilliant opt-in. This package includes writing and design of a one-page pdf worksheet, tip sheet, or manifesto (one initial design with one round of edits). The brand feels like "me." I loved what I had, but built it based on what I thought others would want to see. I finally built something based on what I wanted to see and, because of that, I feel like I am giving my client's the authentic version of myself. I think it looks great! I am so excited!!! Thank you for all of your help. You've been so great to work with!! I feel like you gave me permission to let my brand represent ME. Up until now I was just tyring to give my business a clear brand that represented the work I do through my company. I feel great that I am intentionally weaving my values into it now. I'm so very happy with the feel of my brand style guide. Thank you Christie for all the hard work & hours YOU have put in to help us blossom! Once we have all the requested materials from you in hand, we'll schedule your website design to begin on the next available start date in our schedule. From this start date to site launch is usually 7-10* business days. We'll ask you to be highly contactable and available during this time to review and approve designs. How soon you're able to gather the requested materials and complete the brand, biz and content strategy workbook, is up to you and your schedule. The strategy workbooks are comprehensive, so expect to spend at least a week going through these and answering questions. If you have a specific website launch date in mind, please let us know so we can work with you to create material deadlines and schedule a start date to make this possible. * Purchase of additional add-on services will increase this timeframe. Your branding information: logo, color palette, font details. Photos of yourself, customers, products, and other design elements that you want included. Completed strategy workbooks and exercise. Your domain and hosting account information and logins. Your email marketing provider login details. What WordPress theme will be used? We will be using Elegant Theme's Divi theme. Divi is a popular drag-and-drop page builder for WordPress, with an active development/support community. Using WordPress and Divi will allow you to easily add functionality to your website and manage your website as your business grows. Once the site is launched, you'll have access to Jewels Branch's Brand Workshop materials. These materials include complete Divi training and video tutorials, as well as a private Facebook group where you can ask questions as you continue to maintain your website. Will I need to purchase a theme? 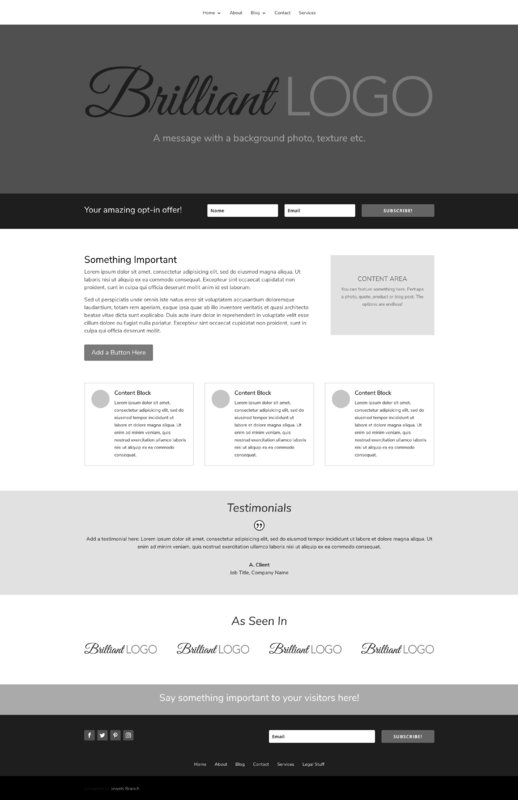 Your Brilliant Beginning site will be designed using Elegant Theme's Divi theme. This is regularly a $89/year fee. We will be providing this to you FREE of charge with this package. If you hire us to maintain your website going forward we will keep Divi updated for you. You may choose to purchase your own Elegant Themes license if you wish. What if I want additional designs or revisions? We're happy to add additional designs, design or copywriting revisions to this package at your request. In general additional rounds of revisions are $95 per round. Extensive revisions may incur additional charges to be discussed with and approved by you. All additional charges will be billed at site launch. What if I already have a website I want re-designed? 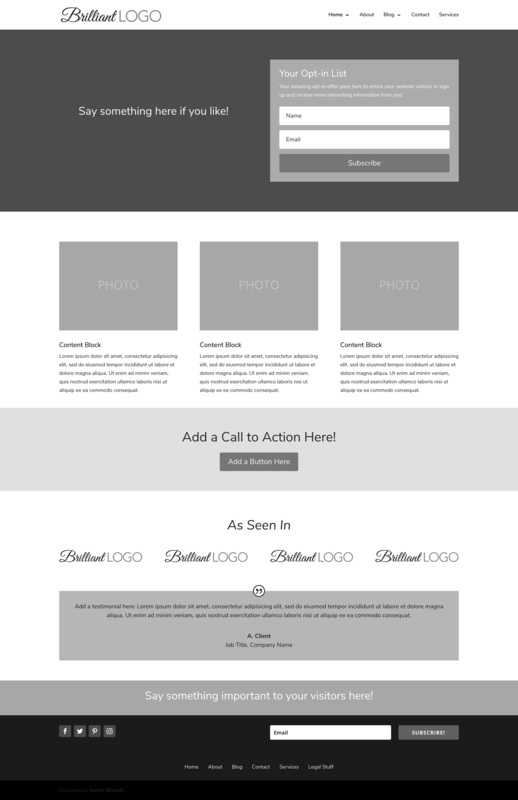 The Brilliant Beginnings website package is only for NEW websites. 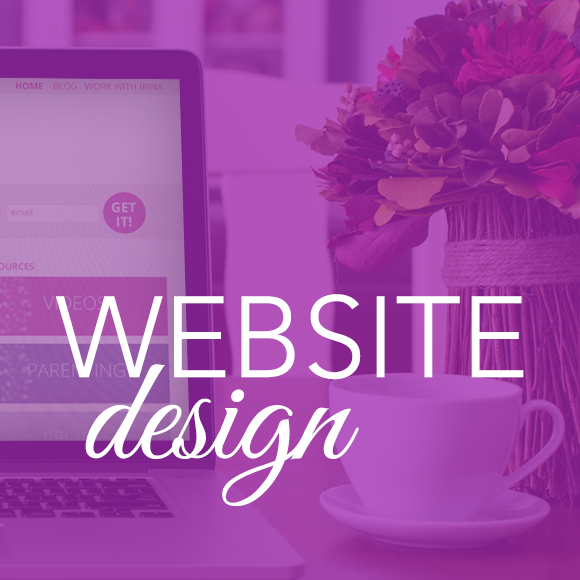 We'll be happy to work with you to re-design your existing website. Schedule a consult with us to discuss your project and we'll provide a custom quote. Payments are not refundable. Brilliant Beginning is a startup website package designed to get you online quickly with a professional looking website on a solid platform that you'll be able to manage, adjust, and enhance as you move forward in your business. It is priced reasonably and includes The Brand Workshop, which is a $399 value on its own. We want you to be 100% invested in your business and this package. We meet for a free 30-minute consult to talk about your business and make sure you understand what's included in Brilliant Beginning and what materials you'll need to bring to the table to make this package work. Read through all the materials, look at our portfolio, read our testimonials and about us, follow us on social media and do your homework to make sure we are a good match for your business. If you have any reservations, then it is not the right package for you and we'll be happy to refer you to other designers or resources. Creating an online business and need an experienced guide (or two) to help you figure out the best steps to take? That's where Jewels Branch comes in. 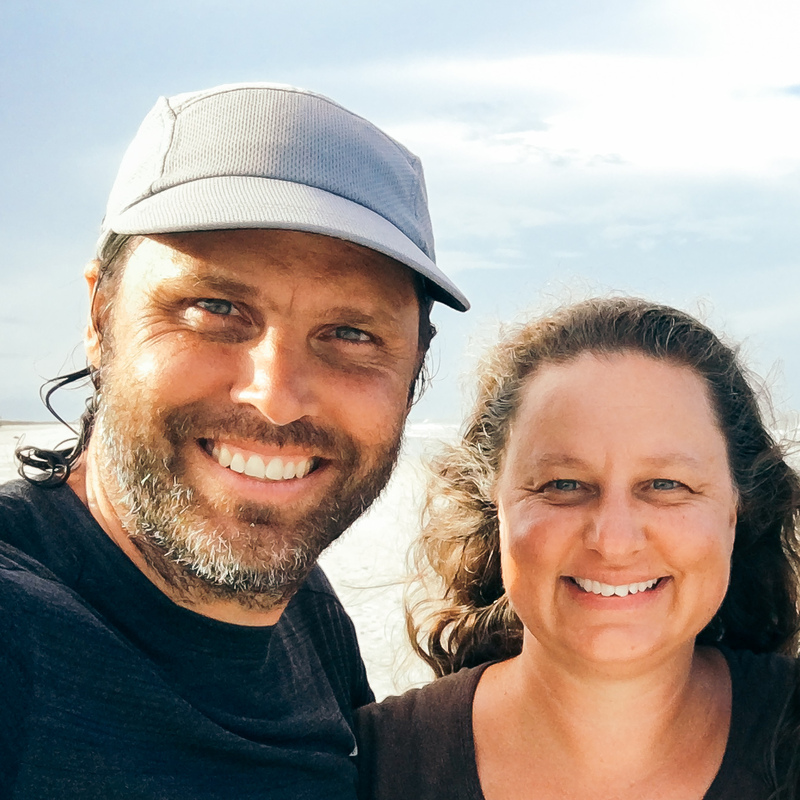 Jewels Branch is Christie and Jamie Halmick, a wife and husband team. We’ve made a career and life out of our online businesses and that’s what we’d like to help you do, too! Over the past 20 years we've helped businesses big and small communicate their offers to the world. We've been behind the scenes providing branding, design, marketing and tech support for — social networks for best selling authors ... websites for up-and-coming health coaches ... sold out events for marketing consultants … online stores for fashion lines and more. We’ve been teaching online branding, marketing, and graphic design to entrepreneurs like you since 2012. We bring all our experiences and skills to your project.